Do you like coloring? 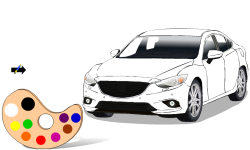 Check out this app, use the coloring palette to color the cars. 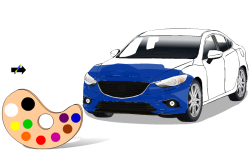 Just touch the color you want to use and a paint bush will appear. 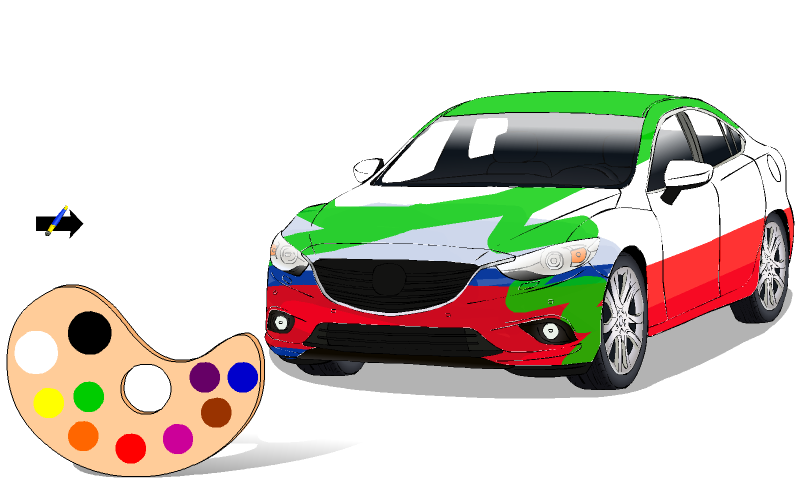 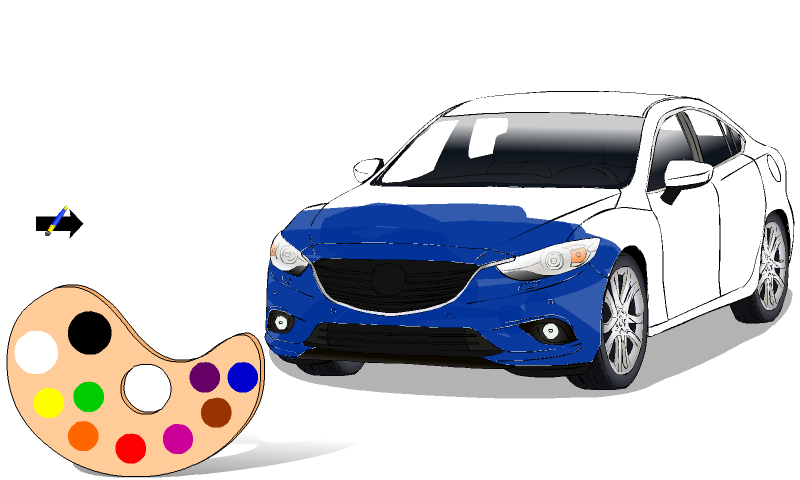 Drag the paint bush to the car to start coloring the car.